The New England Patriots lost their best wide receiver to an ACL tear before the season started. Two months later, Patriots defensive captain and Pro Bowl linebacker Dont'a Hightower tore his pectoral muscle , ending his season. In early December, Philadelphia Eagles quarterback Carson Wentz – in the midst of a breakout season – tore his ACL . In a 2012 study , I charged four groups of students with solving a murder mystery. This type of system serves two functions. First, it allows the players and coaches to understand each player’s strengths, weaknesses and responsibilities. It creates what management scholars would refer to as a “ transactive memory system ” – a “group mind” where each team member knows what each other one is good at. This naturally builds interdependence by identifying the specific skills each player needs to contribute to the team. Second, it makes it easy to adapt to adversity, setting up a dynamic where players can easily be plugged into roles to replace teammates lost to injury. It’s one thing to tell the media you will win . It’s quite another to truly believe it, even when you’re down three touchdowns . Indeed, the greatest predictor of being confident in your ability to win in the future is having won in the past . Confidence in your ability, in turn, has been shown to predict performance in a variety of situations , from sports arenas to the classroom to the workplace. In a 2016 paper , I explore the New York Yankees’ 2004 acquisition of superstar Alex Rodriguez, and the massive 10-year contract extension they awarded him in 2007. In this case, the Yankees overestimated Rodriguez’s longevity, and his performance started to falter as he aged. But perhaps more importantly, they underestimated the signal it sent to give a single player like Rodriguez – who failed to emerge as a respected team leader – the position of the organization’s most highly paid employee. This likely occurred because when high-performing team members go down, others feel more responsible for the team’s performance. Researchers have been able to show that, in lieu of an injury to a key member of a team, other players tend to improve their focus and effort . Still, despite their sound system, the Patriots are probably more reliant on Tom Brady than the Eagles are on any one player. In both of the Patriots’ most recent Super Bowl losses , the Giants were able to disrupt Brady’s timing, dominate the offensive line and keep Brady off the field with a potent running game. 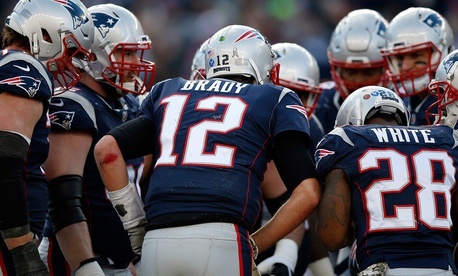 Despite their many advantages, the Patriots, in this sense, are more vulnerable.